Proud to earn 100% on @HRC’s Corporate Equality Index for #LGBTQ-inclusive workplace policies & practices! 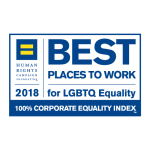 FRAMINGHAM, Mass.--(BUSINESS WIRE)--Staples, Inc. today announced that it received a perfect score of 100 percent on the 2018 Corporate Equality Index (CEI), a national benchmarking survey and report on corporate policies and practices related to lesbian, gay, bisexual, transgender and queer (LGBTQ) workplace equality, administered by the Human Rights Campaign Foundation. The company features a range of Associate Resource Groups (ARGs), including Out At Work, a collection of associates supporting lesbian, gay, bisexual and transgender associates, who sponsor in-house social and networking activities, partner with local LGBTQ charities, and volunteer at community activities. Out At Work hosts their biggest event in October for National Coming Out Day where the group rallies the Staples community to come together and have a conversation about LGBTQ issues. An annual “Bowling Against Bullying” outing is also held to raise funds for local charities. 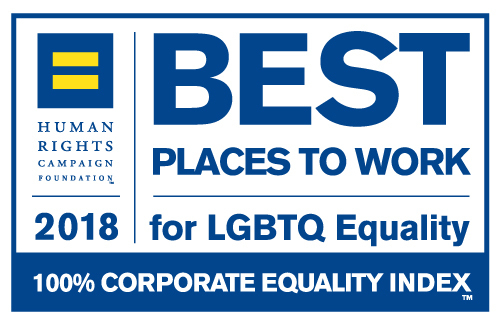 The 2018 CEI rated 947 businesses in the report, which evaluates LGBTQ-related policies and practices including non-discrimination workplace protections, domestic partner benefits, transgender-inclusive health care benefits, competency programs and public engagement with the LGBTQ community. Staples’ efforts in satisfying all of the CEI’s criteria results in a 100 percent ranking and the designation as a Best Place to Work for LGBTQ Equality.